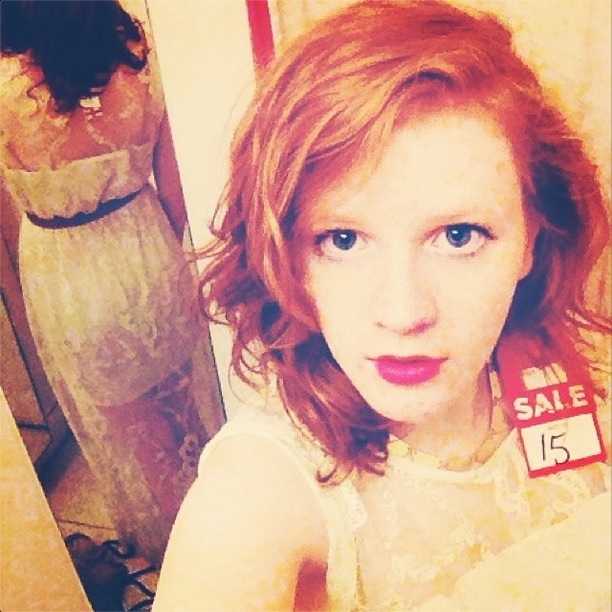 As a cheapskate student I love to root around sale rails and I take pride in the gems that I find in my frugality! So, I'm excited to share this little post dedicated to my recent bargains. I'm sure these items will be featured in outfit posts eventually, but for now, here's a few snapshots of my finds! 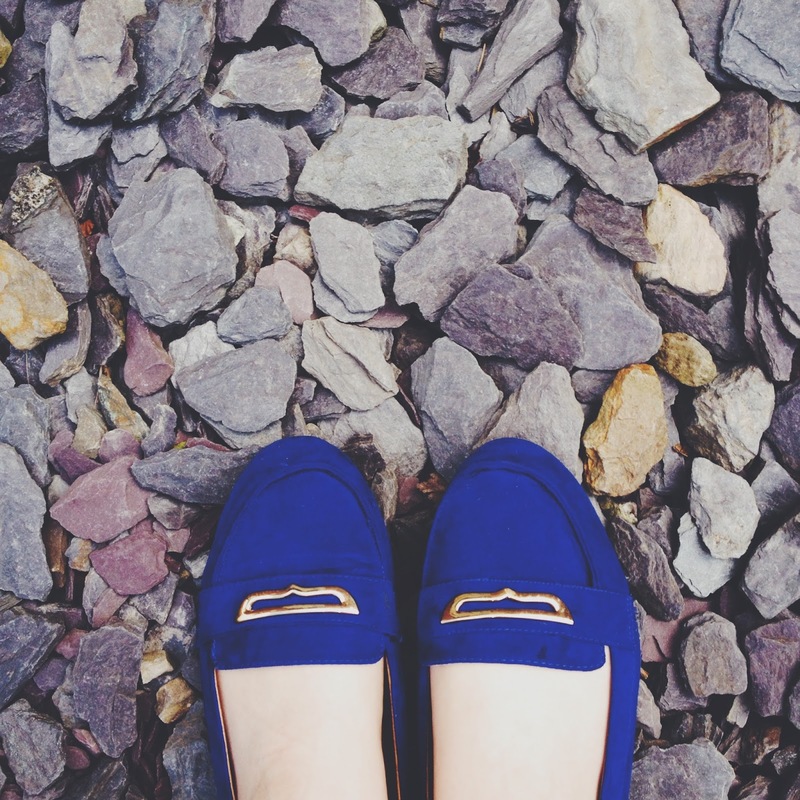 These electric blue flat shoes are from Penneys. They only cost me €5 (about £4). I'll admit, they feel quite flimsy under my feet... These shoes aren't in it for the long haul, in fact, I have a suspicion that they'll end up disintegrating at the most inopportune time imaginable. But as they are such a vibrant and pretty colour I think it was a good find, despite the potential false economy of the purchase. 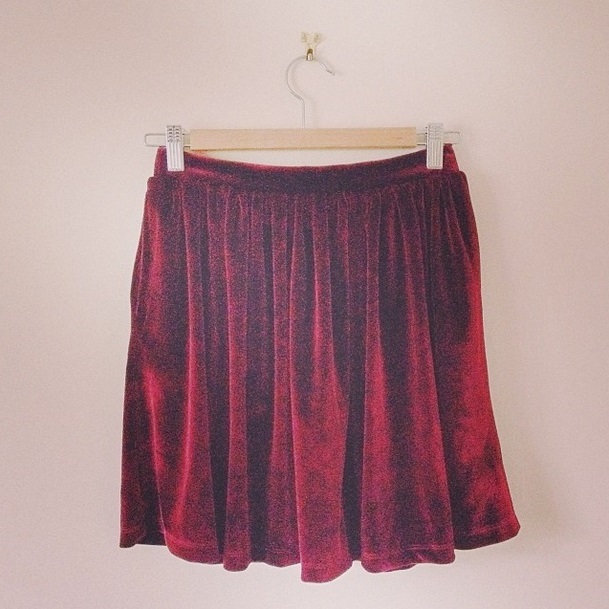 I bagged this lovely little velvet skirt at Topshop for £15. This one has already made an appearance on this blog as mt highlight of my outfit I wore to the Eiffel Tower. I must admit that when velvet first came (back) into fashion, I was frightened of it - I had no idea how to wear it and I mostly saw garish velvet dresses on the high street! However, this skirt is so easy to pair with a number of different outfits. Also, having a skirt (rather than a dress) in this fabric enables me to wear the velvet trend during the day! 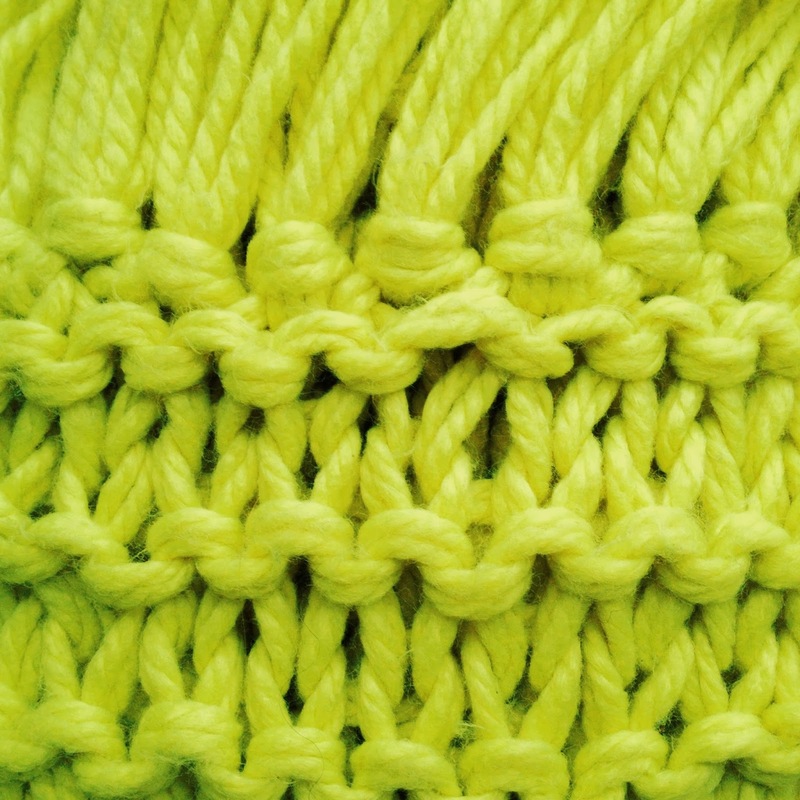 This is a detail shot of a scarf I got in Urban Outfitters' January sale. There's two things you need to know about this scarf: 1. It's extremely long. 2. It's extremely neon. And that is pretty much why I love it. Well, I saved the best 'til last... This summery, floor-length dress is from River Island, and in case you didn't notice - it was only £15. What. A. Bargain. I didn't bother looking for any other sale items on this particular shopping trip, as I knew nothing could top this for me. Not sure where I'm going to wear it yet, but with a few college balls on the horizon it's definitely going to get the night out it deserves.